Some cases even underwent hospitalization and death. While energy drinks contain supplements. vitamins and herbs and are needed to list warnings on the label about serving more than the amount recommended. People have no short term side effects from energy drinks. But over the long term, different side effects have been observed. The most common ingredients of energy drinks are associated with a lot of potential side effects. Let’s see where the most impact is felt. This is easily the most popular ingredient of energy drinks. It is also among the most widely consumed substances when it comes to beverages. Caffeine tolerance is different for people, but for most individuals, the dose of 400 milligrams per day may produce symptoms initially such as insomnia, restlessness, and an elevated heartbeat. Caffeine can be found in numerous natural beverages such as guarantee, green tea extract, so be aware of this while reading energy drink labels. Another sign of a problem of caffeine in energy drinks is adrenal fatigue. When the body’s adrenalin system becomes charged by continuous caffeine, the aim should be to detox and get the glands back in normal functioning. The trouble is that what is safe dosage varies depending on the person. Close to 500-1000 milligrams in a single day can produce the most side effects. This is another deadly ingredient in energy drinks. High-fructose corn-syrup or cane sugar are some of its other names of this ingredient. It may even be touted as healthy (for example natural cane juice). Higher sugar drinks are associated with obesity. Sugar also causes dental decay and increases the risk of diabetes. Sugar in energy drinks leads to an increase in blood glucose and insulin spikes, which can cause bodily symptoms to crash. Sugar also produces a rush because it is highly addictive in nature. This is another potent ingredient but the safety of its consumption has also been debated. The amount in energy drinks is also a question, as it should be well below what is needed for side effects to become rampant. Close to 35 milligrams of B3 (Niacin) can cause the skin to become flushed. But higher amounts of 3 thousand milligrams or more can initiate liver toxicity. A British Journal of Medicine study found that excess niacin in energy drinks has led to nonviral hepatitis. Another vitamin, B6 in excess levels can cause problems in sensory nerves such as burning sensation or skin lesion. This has caused side effects like gastrointestinal upset, tiredness, heat, and dizziness. It has also been linked to diarrhea. The debate has been ongoing if this ingredient found in soft drinks is causing side effects. Some countries like France and Germany have concluded it is not a threat to safety. If sugarless energy drinks are being consumed. The debate around the negative health impact of these on the basis of artificial sweeteners like aspartame5 has been rampant. This is a herb which causes side effects such as dizziness, restlessness, heart palpitations, nausea, diarrhea, and headaches. It can also create further side effects in conjunction with blood thinners and antidepressant medication. This substance has also been found to cause thyroid cancer in animal studies. This amino acid is associated with not only energy drinks, but green tea as well. Energy drink manufacturers put green tea extract in the drink which produces a feeling of alertness and lightheadedness. This is another amino acid which is associated with side effects and is present in energy drinks. It causes nausea, vomiting, diarrhea, restlessness, insomnia and sleeping problems as well as a stuffy nose. Those with underlying cardiovascular problems have gone into cardiac arrest following a few energy drinks. Before you consume caffeine in any form, including energy drinks, be sure to be clear about the health of your heart. Energy drinks can lead to forceful heart palpitations and harm those with health conditions. Studies have found that energy drinks have led to symptoms among youngsters. Another study points to the association between cardiac issues among teens and energy drinks. Teenagers consuming more than 250 milliners per day, especially before or during exercises or sports are prone to problems. A research study found that 18 to 40-year-old adults who consumed energy drinks on a regular basis had a massive increase in QTc interval, which marks abnormal heart rhythm risk. Caffeine in the energy drinks causes calcium release from heart cells, affecting heartbeat and leading to arrhythmia. This can also harm the presence of salts in the body, adversely impacting heart health. Excessive energy drinks can lead to massive headaches linked to the withdrawal of caffeine. Varying the amount of caffeine drunk can lead to constant headaches. Anxiety also rises with the consumption of caffeinated beverages such as energy drinks. Studies have found that people with certain genetic variances in their adenosine receptors feel increased anxiety while consuming energy drinks. Larger doses can even initiate a massive panic attack. Coffee certainly does the perfect job of keeping people awake and so do energy drinks. But, when they are consumed in excess, these caffeine-rich beverages can cause people to undergo sleep deprivation and be unable to perform crucial tasks. A drug interaction can also occur if energy drinks are mixed with prescription medication, especially that of depression. Caffeine boost in energy drinks can cause addiction. This can impact functioning negatively when the energy drink is no longer consumed. Being high on caffeine shows teenagers are more likely to take dangerous risks leading to injury or legal trouble. Too much caffeine can also lead to shaking and panic. Causing emotional issues, this side effect can interfere with the normal functioning of the body. Energy drinks can cause vomiting and the resulting dehydration and burning by the acid of the teeth and inner esophagus are further complications. From hives to airway obstruction, rashes, and minor itching, the side effects of energy drinks can trigger histamine reactions. Caffeinated products like energy drinks elevate the blood pressure of people with hypertension. Those with normal blood pressure need not worry, but persons with blood pressure problems or hypertension can up the risk of stroke and other problems if energy drinks are excessively consumed. A Mayo Clinic study found Rockstar energy drink raises blood pressure as against placebos to an abnormally high rate. This can create problems such as gout, diarrhea, rapid heartbeat, dizziness, flushing of the skin and vomiting. Research has also found the energy drinks can lead to increased secretion of norepinephrine and raise rates of stress hormone. The World Health Organization has even released a warning letter about the impact of energy drinks on young persons, after finding out over 65% of teens consume these. They have also issued an alert for governments to establish upper caffeine limits on these drinks. Labeling requirements and sales restrictions to minors is another issue. WHO has also instructed the energy drinks industry to responsibly market their beverages. Health care workers need to be trained to recognize what symptoms of OD can result and educate people about the dangers of excessive energy drinks. Moderation is important. A November 2015 report found that the US FDA documented 13 deaths associated with an energy drink 5-Hour Energy. This drink has 2 cups of coffee worth of caffeine in each unit. 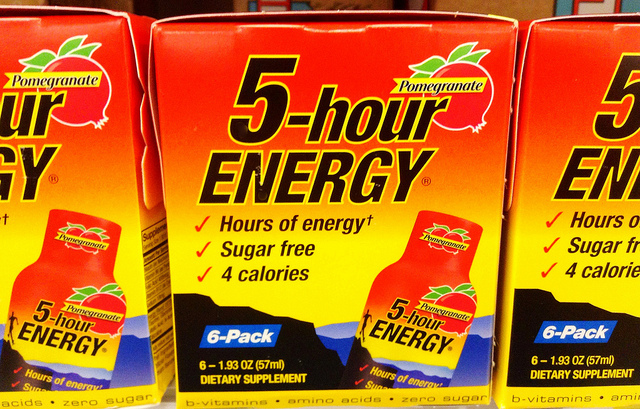 US FDA researchers have also traced miscarriage to consumption of 5-Hour Energy. Studies have found that those who consumed caffeinated beverages were more likely to suffer a miscarriage. Energy drinks can have potential side effects in conjunction with alcohol and drugs. Caffeine is a stimulant and it does not prevent sedation by alcohol, In fact, results have found that more energy drinks may be consumed after alcohol leading to serious side effects, according to an AMA Journal study. The JAMA study has also found that drinking caffeine to recover from hangovers can also be lethal. Another study found that energy beverages were linked to drug abuse, with more students on energy drink snagging in prescription drug abuse. Studies have shown that energy beverages can impair cognition. Drinking higher amounts of caffeine such as 250 milliliters or more (found in an average sized Red Bull can ) or 80 mg has triggered cognition problems as evidenced by the reaction test. Recently, the WHO had identified energy drinks as a public health menace after consumption of such beverages is rising. The presence of caffeine in energy drinks can range across 80 mg to over 500 mg. Other medical organizations that have focused on the hazards of energy drinks include the US Food and Drug Administration and National Health Service in the UK. Studies have found that Coca Cola harms the body within 1 hour of consuming it. But now even energy drinks like Red Bull and Monster are found to impact the body within 24 hours of consumption. Energy drinks are sold as beverages that boost physical and mental performance. The most common stimulant in these drinks is caffeine, but some brands even contain plant-linked stimulants such as ginseng and guarana. As per the Substance Abuse and Mental Health Services administration body, the amount of caffeine in energy drinks can be around 500 mg, while one 5-ounce coffee cup contains 100 mg of caffeine. Much like soda, energy drinks are also rich in sugar. A 250 ml can of energy drinks such as Red Bull contain 27.5 grams of sugar! Many researchers have found energy drinks can have negative implications for your health. A 2013 study in Medical News Today found energy drinks change the heart functioning in healthy adults. Another study found negative factors were associated with energy drink consumption and other unhealthy actions like smoking. But how do energy drinks impact the human body? Let’s find out! Sugar crashes and energy slumps apart, once you consume the energy drink, the end result is caffeine withdrawal. According to studies, caffeine enters the bloodstream within ten minutes of consumption of energy drinks, triggering a rise in blood pressure and heart rate. Within the ensuing 15 to 45 minutes, caffeine levels in the bloodstream also heighten. Consequently, this will result in improved focus and alertness once the drink is consumed. Caffeine blocks adenosine which is a chemical involved in how tired one feels. It also gives the body a boost while releasing dopamine and other feel-good neurotransmitters in the brain more readily. So, you feel alert and more active. This caffeine is absorbed within 30 to 50 minutes of energy drinks consumption. So, how does the liver respond to the huge amount of sugar? It simply soaks up the sugar into the bloodstream. Within 60 minutes, the caffeine effects subside and sugar crashes may take place. Energy levels become lower and tiredness sets in. It then takes 6 hours for the body to achieve a reduction of 50 percent in the amount of caffeine in the bloodstream called the half-life. It is likely to be double this amount for women taking contraceptives like birth control pills. It takes 12 hours for the body to eliminate caffeine from the bloodstream. However, liver damage, pregnancy, and intake of drugs can slow the rate of caffeine elimination from the human body. Children, as well as teenagers, have a longer caffeine half-life, so caffeine remains in the bloodstream for longer periods and at higher levels than adults. This is why caffeinated energy drinks can trigger behavioral issues and anxiety problems in kids. Further, caffeine withdrawal takes place 12 to 24 hours post consumption of the drinks. Individuals who consume energy drinks on a regular basis may, therefore, experience caffeine withdrawal in 12 to 24 hours posts the consumption. This includes symptoms such as irritability, headache, and constipation. Further, the withdrawal symptoms can last up to 9 days and the severity depends on the caffeine consumed. For regular energy drink takers, it can even take 7 to 12 days for the body to adapt to regular caffeine intake. Once the body is used to such beverages, it will no longer cause a boost when taken repeatedly. While many health experts have cautioned against energy drinks, people don’t seem to be heeding it. Energy drink consumption is rising with one study reporting the beverage’s sales rose by a massive 60 percent from 2008 to 2012 alone! Recent research from the Centers for Disease Control & Prevention also found 73 percent of kids consume caffeine on an everyday basis, mostly from energy drinks. While the concept seems innocent enough, drinking that can of beverages can be detrimental for your health in more ways than one. A lot of energy comes from the caffeine which reaches levels as high 357 grams in a 16-ounce Bang energy drink. This is as per the Center for Science in Public Interest. This is way more than 150 mg of caffeine found in a Starbucks cappuccino of the same amount. New research by the Journal for American Heart Association also reveals energy drinks are way more dangerous than caffeine. The research showed that a 32-ounce energy drink causes elevated blood pressure and life harming arrhythmia. The biggest harm is to kids and teens. While adults can consume up to 400 mg caffeine a day, kids can take no more than 100 mg according to the American Academy of Pediatrics. So the energy drink impacts the body by causing heart problems, blood pressure, problems in sleeping, restlessness, nervousness, irritability, muscle tremors and upset stomach. Caffeine can also lead to serious issues for those with heart problems or medication. Per serving, energy drinks are sugar-rich to the tune of 21 to 34 grams per serving, as per a recent study in Pediatrics in Review. Sugar also comes in the form of high fructose corn syrup. Users consuming 2-3 energy drinks could be taking in quadruple the amount of maximum recommended intake of sugar or even higher, therefore. Young people regularly consuming energy drinks have higher chances of dental issues and obesity. Across time, the consumption of a lot of energy drinks could, therefore, trigger type 2 diabetes. Drinking only a 16-ounce energy drink can shoot the blood pressure and cortisol levels through the roof according to the American Medical Association. While these changes impact the body in the short term, they could raise the long term risk of developing heart disease. Energy drinks consumption lead to lethal blood pressure problems in healthy young adults, triggering an increase in stress hormone chemical norepinephrine and this could precipitate cardiac events in even the healthiest of people. Energy drinks are popular and their ingredients are now under scrutiny. Some of these drinks have been banned in certain countries. Energy drinks though associated with increased alertness can eventually cause fatigue once the caffeine subsides and withdrawal sets in. New studies in medical journals have also led to researchers concluding energy drinks may be associated with wide-ranging health problems other than BP, weight gain or insomnia. Evidence indicates these deadly beverages could even lead to substance abuse, mental health issues, tooth decay, diabetes risk, and kidney damage. A wide range of conditions is associated with energy drinks, according to Harvard T.H Chan School of Public Health professors. Sweet sugar is to blame. Energy drinks contain huge amounts of added sugar. Moreover, there are artificial sweeteners and high fructose corn syrup. An average 500 ml or 16.9 ounces can have around 54 gms of sugar, beyond the American Heart Association recommendation of more than 36 grams per day for male adults. When one takes in too much sugar, the body will have a tough time responding to it. It will further require more insulin to help glucose enter the cells. This can exacerbate type 2 diabetes according to National Institute of Diabetes and Digestive Kidney Diseases. Consistently high levels of sugar can damage blood vessels and nerves over an extended time period, setting the stage for heart disease or kidney issues. 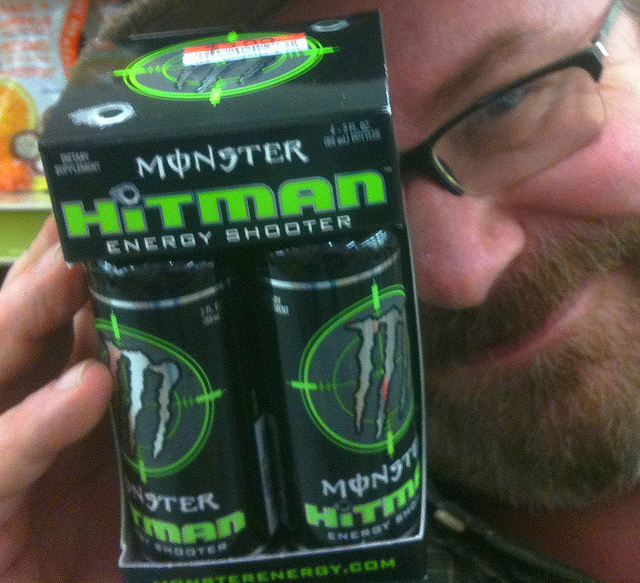 Despite the known dangers of energy drinks, the market for these is growing. As per 2016 Minitel research, more energy products were launched in 2015 as compared to previous years. The numbers registered a 29 percent growth between 2010 and 2015. In 2015, a massive 8.8 billion liters were sold worldwide. And 3.3 billion liters of these energy drinks were sold in the US alone. Most of the major brands like Monster, Rockstar, NOS and Red Bull share the same ingredients. A source of energy in most of these energy drinks is the key ingredient found in coffee known as caffeine. 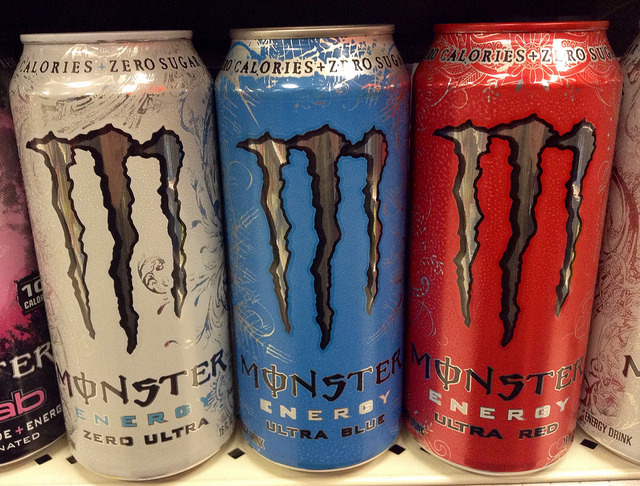 Monster, Rockstar, NOS energy, and Red Bull all have 160 mg of caffeine per 16 ounces. Caffeine exerts a diuretic impact. It increases urine production and triggers dehydration. This can be especially hard for those who drink the product for the first time and don’t hydrate enough. As per the US FDA, not more than 400 mg of caffeine is allowed in a single day, but food and drink manufacturers don’t list the caffeine contained in products. Due to the fact that it is a diuretic, caffeine causes a heart rate problem. The Canadian Journal of Cardiology in 2015 found incidence of cardiac events following the energy drink consumption among teens. Energy drink forms the basis of substance abuse as well. This can also lead to cardiac events in those with underlying heart conditions. Energy drink products lead to changes in heart rhythm among teens with healthy hearts. Energy drinks also contain citric acid which corrodes the teeth. Studies comparing energy drinks and sports drinks found energy products have more capacity to dissolve enamels and higher acidic content compared to sports drinks. Enamel loss post-exposure to energy drinks was 2 times higher than consuming sports drinks. Citric acid combines with sugars, triggering tooth decay and tooth enamel demineralization. Once the enamel disappears, it does not grow back. So, your teeth develop thinner enamel and tooth sensitivity. This looks yellow and attracts more stains. The precise amount of citric acid is not even known. While this may sound counterintuitive, energy drinks rich in L-carnitine, taurine, and glucuronolactone don’t provide enough energy boost. Amino acids like taurine and L-carnitine are involved in energy metabolic rates and located in the organ and muscle tissue. They have no real effects on energy levels. Perceived energy boost in energy drinks comes from sugar, and this does not even last. Adverse effects of high sugar content include the crash and an energy drink typically contain over 13 teaspoons of sugar in every serving. This is double the recommended daily limit of 6 teaspoons of added sugar in a day. Taking too much sugar? You’ll land up being obese and insulin resistance, besides having heart complications and high blood pressure. 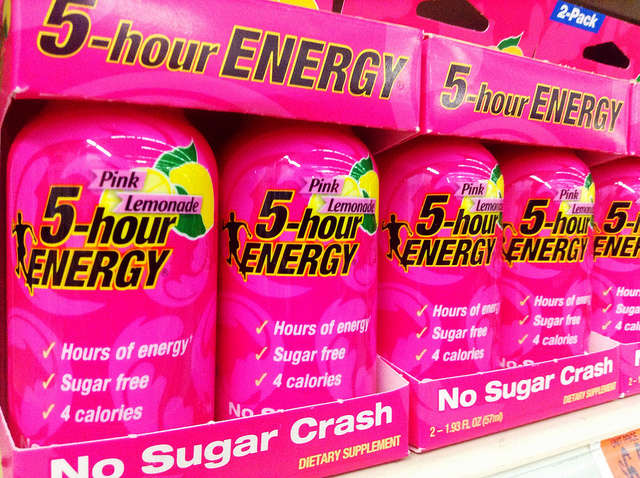 Energy drinks are teeming with stimulants. One such is plant-based Guarana which stimulates the central nervous system. It provides an energy boost and boosts clarity and can lower appetite. What causes adverse side effects like sleeplessness, mood swings, nervousness, and headaches are also this plant-based substance. It can be lethal when combined with prescription medicines and can lead to cardiac and digestive problems as well as decision making and impaired judgment. Guarana based drinks contain an additional source of caffeine. 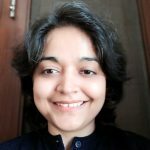 The energy sector is poised to reach USD 61 billion by 2021. It may be well at the cost of your health! All in all, too much of anything is bad. But energy drinks are associated with so many controversial ingredients, that even moderate consumption on a regular basis can have deadly consequences. Next time you opt for caffeine-rich energy stimulating drinks, think again. You could be doing more harm than good!